Baird announced today that industry veteran Mark T. Stevanovic has joined the employee-owned international wealth management firm as Senior Vice President to open a new wealth management office in Portland, Maine. Stevanovic, who has 15 years of industry experience, will manage the future Baird branch, which will be its first in the state. Prior to joining Baird, Stevanovic held a variety of management positions with Morgan Stanley Smith Barney in the Northeast including New York, Massachusetts and Maine. Most recently, he oversaw Morgan Stanley Smith Barney’s two offices in Portland and Bangor, Maine. 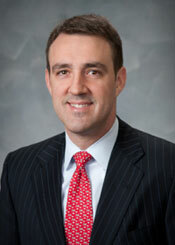 He began his financial services career as a financial advisor with Merrill Lynch. Baird has added nearly 250 Financial Advisors and Branch Managers to its Private Wealth Management group since the beginning of 2009, the vast majority of whom are industry veterans. Beyond adding talent, Baird has opened or announced plans to open wealth management offices in several new markets. New office locations include Salt Lake City, Portland, Ore., Denver, Fort Worth, Texas, Sacramento, Calif., San Francisco, Charleston, S.C., Charlotte, N.C., Winston-Salem, N.C., Raleigh, N.C., and Lynchburg, Va.
Stevanovic lives in Falmouth, Maine, with wife and two daughters. Active in his community, he is on the board of the Falmouth Historical Society and chairs its Financial Committee. Baird is an employee-owned, international wealth management, capital markets, private equity and asset management firm with offices in the United States, Europe and Asia. Established in 1919, Baird has more than 2,700 associates serving the needs of individual, corporate, institutional and municipal clients. Baird oversees and manages client assets of more than $87 billion. Committed to being a great place to work, Baird ranked No. 21 on FORTUNE’s 100 Best Companies to Work For in 2012 – its ninth consecutive year on the list. Baird’s principal operating subsidiaries are Robert W. Baird & Co. in the United States and Robert W. Baird Group Ltd. in Europe. Baird also has an operating subsidiary in Asia supporting Baird’s private equity operations. For more information, please visit Baird’s Web site at rwbaird.com.